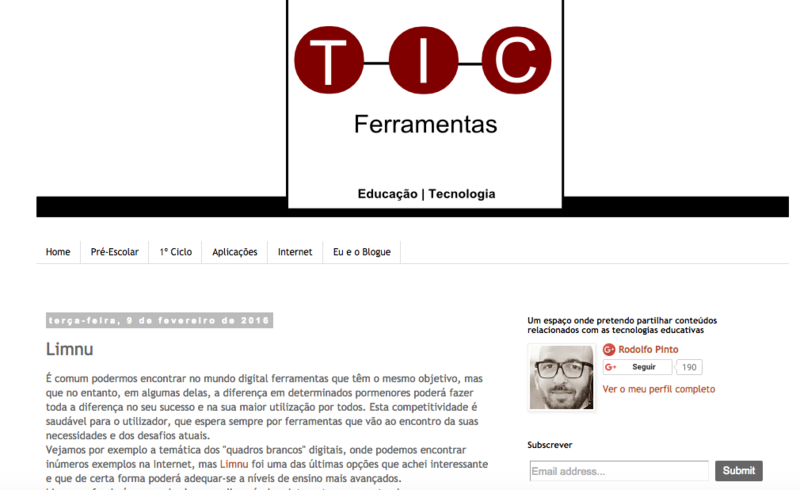 TIC Ferramentas, an education and technology website out of Portugal, recently highlighted Limnu as an advanced educational tool, demonstrating several key features with a short video. "Although there are other options on the market, Limnu stands out for its simplicity and quality" says Rodolfo Pinto, founder of TIC Ferramentas. See the demonstration video and read the complete article here.